If you want to stay updated about UK based Black writers, literary events and workshops in the UK, check out the blog UK Black Writers Board. The author of the blog also tries to keep track of Black writers in the rest of Europe. See the page European Based Authors. On the blog an interview with British author Alex Wheatle. One of the questions is, why is there, even in the 21st century, still a lack of black writing? Alex Wheatle: "Publishers don’t trust it. Publishing is too white, really. When you go to the big publishing houses, you rarely see black faces. There’s a fear of taking on black writers. But, in my experience, the British people are very tolerant. I find that at my events, people come because they love reading, they love fiction, they love stories. It seems that those who have the power think: ‘Oh, Alex Wheatle’s books only appeal to the West Indian community’ and for me that’s false. We need to start believing that all kinds of stories can appeal to anybody." Read the full interview here. Thanks for the post Afro-Europe. 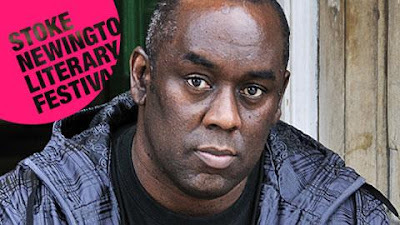 I have read both of Alex Wheatle's books and they are amazing hightlighting the black experience in the 1980s when black people rioted because of bad treatment, my friend is a black writer but finds it so hard to get published because what he writes about isn't the sterotypical. You're welcome Chico-Rei, and thanks for tip about Alex Wheatle.